As Father’s Day approaches, I pause to think of how our family’s celebration of Father’s Day may differ from the average American family. That happens sometimes when you double the maternal and scratch the paternal. But is our “paternal” dynamic really null and void? We certainly aren’t the only family in America that doesn’t have an active biological father in the home. Fathers, in absentia, have existed since the beginning of time. Families with runaway fathers, fathers who have passed and families created from single moms by choice have been cranking out well adjusted children since history started being recorded. Most all of these have some type of paternal influence to be celebrated. Our family is no different. In fact, in a family full of nothing but girls I can truly say we love our boys. Brandi and I both hit the jackpot in the way of fathers. Both of us have parents who are still married to each other and who have solid, healthy marriages which we have patterned our own marriage after. Having a very involved father was a way of life for us. Both of us think our fathers hung the moon. Had they been able to do so, they certainly would have. Their daughters have always been top priority. Now they have four more little girls to love and guide through life in our daughters. Our little girls look at our dads like we did at their ages. I know exactly what kind of love that is! It’s a precious bond that we hope creates strong ideals and a foundation for healthy relationships with men for our girls. Despite what many people believe, some gay women have healthier views of male relationships than some straight women because our experiences have been limited to loving fathers, brothers or platonic male friends. Many of us haven’t experienced hurt and heartache from men because we haven’t had a history of intimate relationships with them. So our love for men is often pure and untainted, albeit different. My hope is that we can pass down these loving views of the male gender to our girls so that they know that men are good, faithful and loyal. Our girls have so many strong and wonderful men in their lives to celebrate. They, too, have hit the jackpot. So to Papa Rick, Paps, Tio Adam, Uncle Jesse (Gawd, No! 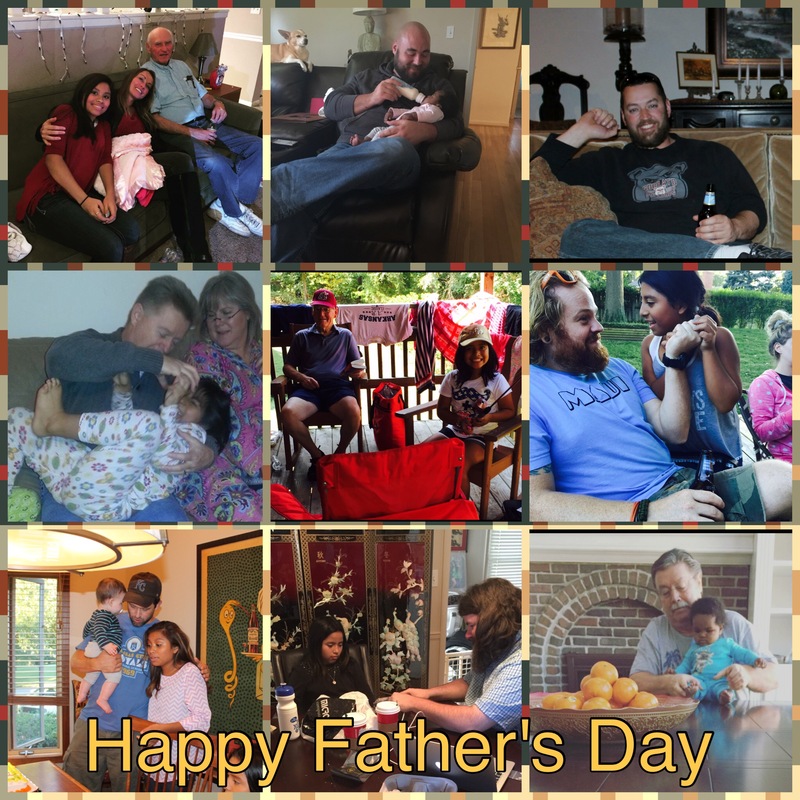 Not the one from Fuller House,) Tio Nick, Uncle Billy, Uncle Bryan, Grandpa Clarence, Cousin Dave, Cousin Dustin and Cousin Seth, Have the happiest of Father’s Days! Your presence and influence is more important than you will ever know!